Brief Description: ***BRAND NEW*** The WAT120 ATV flail mower is ideal for smallholdings and can be towed behind quad bikes or 4X4. 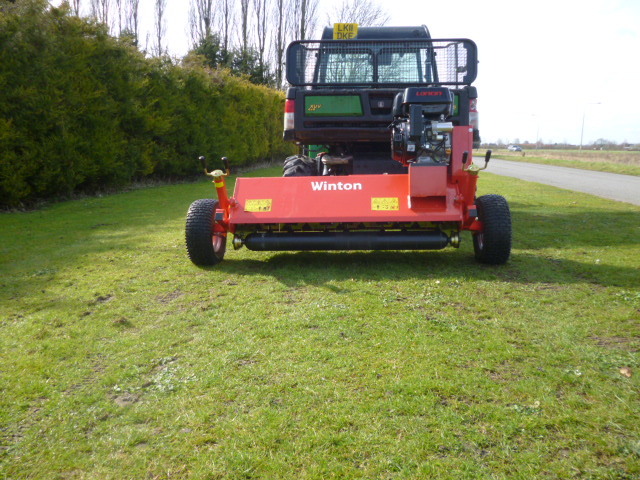 Perfect for cutting pasture and paddock areas, ideal for regular maintenance. Electric and pull start, wheels and linkage adjustable to change the cutting height. 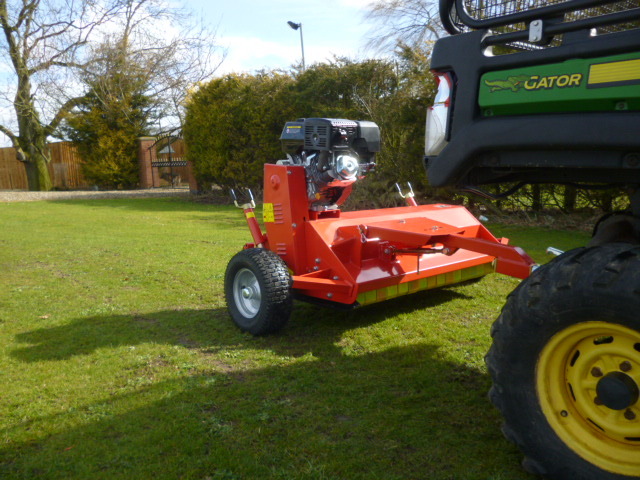 The wheels can also be used behind the mower or in line with the mower. 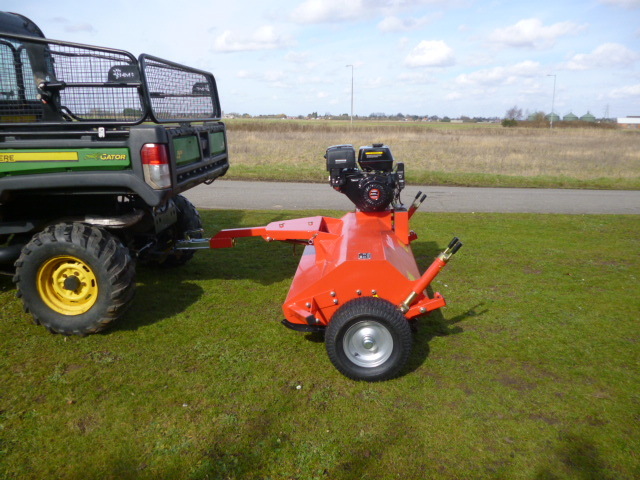 The mower has an independent petrol engine with tow ball hitch for pulling behind an ATV. 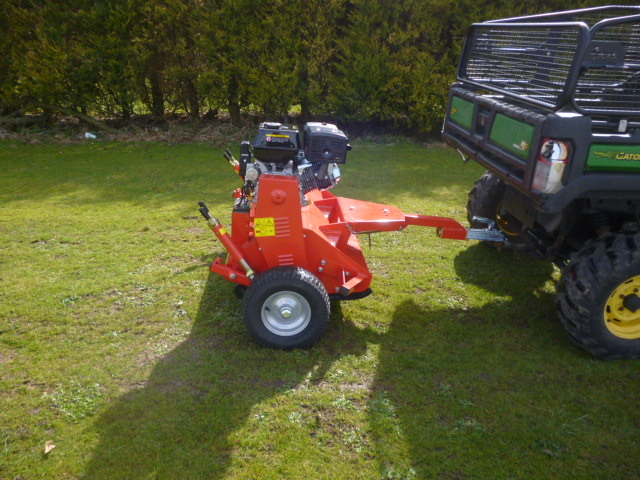 Perfect for quad bike owners with paddock areas to cut. We recommended for use at walking speed on level areas of land, can cope with maintained grass. 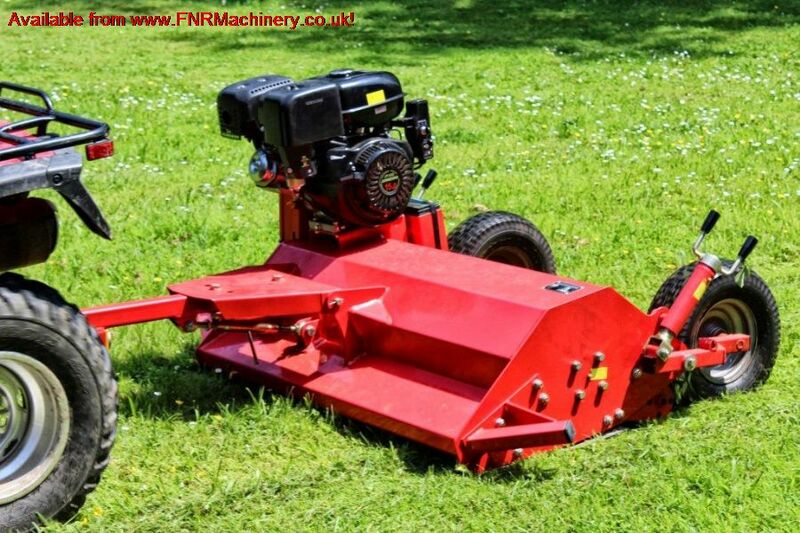 Not suited to overgrown areas and weeds, please see our range of tractor mounted flail mowers for managing overgrown areas. Engine 15hp Petrol. Implement weight 250 kg. 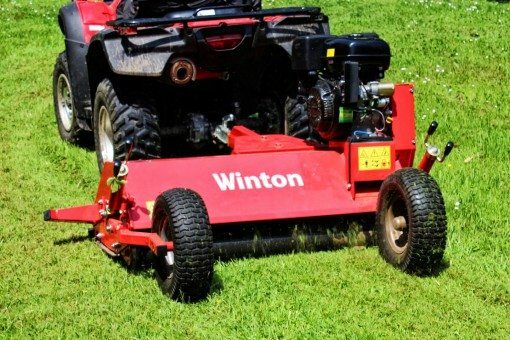 *Please note* This mower should be used in a low range 1st gear for 4×4 vehicles and at a smooth walking pace for ATVs and UTVs.